A Meaty Bite that everyone can enjoy. 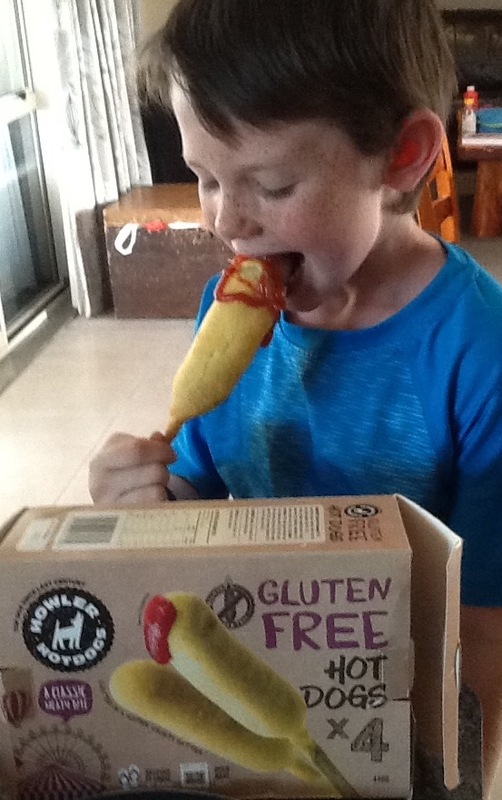 We love making everyone&apos;s gluten-free journey a bit easier by having a great tasting gluten free hotdog available in the Howler Hotdog range, and with family and friends with Coeliac and auto-immune diseases, we understand the importance of having a safe food environment for making gluten-free products. We have a dedicated room in our factory, with dedicated equipment for making Howler Gluten Free Hotdogs, well away from where the other flavours in the range are made. Ingredients are sourced from an approved list of suppliers and our team are trained in managing cross-contamination. Finally, each batch is tested before being released from the factory for shipping to a supermarket near you. 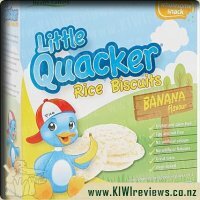 We&apos;re a Coeliac New Zealand Cross-Grain logo partner. Box contains 4x Gluten-Free hotdogs. 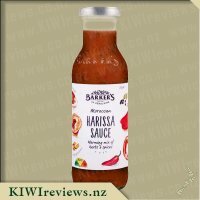 Although my family is lucky enough not to suffer from gluten allergies I know a lot of people who do, so I was very interested in trying out this product and in getting their feedback on it. A Lot of gluten free products which I have tried in the past have actually tasted awful if I must admit, very stodgy and with a very weird texture, however after trying out the other products of Howler Hotdogs I was pretty certain that this gluten free product would have hit the nail on the head and that it would taste perfectly fine. Unlike the rest of the Howler range the box of gluten free hotdogs contains 4 hotdogs rather than 5, to me this is fully justified as on assuming that the gluten free and traditional hotdogs cost the same price, the gluten free ingredients would be more costly to buy and create these yummy hotdogs with hence the quantity difference. 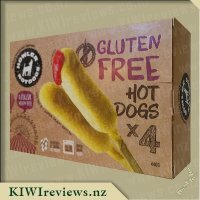 I have to say that I am very happy with this particular hotdogs packaging, I love that the words &apos;GLUTEN FREE&apos; are written in huge lettering and that there is no mistaking that this is a gluten free product, which is great for those who are purchasing it, far too often are allergen foods not that clearly labeled which I can imagine being a real pain for people who constantly have to read the back of packages to find out these details. 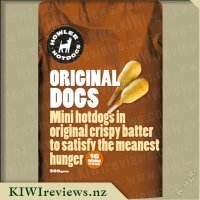 On removing the hotdogs from the packaging I noticed that these were a bit larger than the other hotdogs in the range which I thought was pretty awesome! 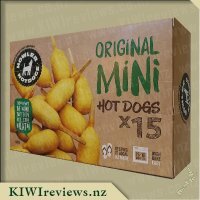 I decided to cook these in my air fryer, I simply popped the hot dogs into the bottom of the machine in a single layer and they all fitted no problem, the instructions on the packaging suggest to cook these in the oven for 15 to 18 minutes, and so I set the airfryer to 15 minutes and left them to work their magic, the bonus of using the airfryer meant no turning required! 15 minutes later and the hotdogs were ready, perfectly crisp and golden batter that were ready to be served up along a fresh salad, and hot chips for lunch, with of course a generous dollop of tomato sauce for my partner, Miss 4, a friend (who is gluten free) and myself. I have to say I was highly impressed by these hotdogs, everyone was the batter was so light, yet crisp and not at all soggy, and the sausage was very meaty and had a very lovely taste to it, if I hadn&apos;t cooked these up myself there is absolutely no way I would have known that they are a gluten free product! 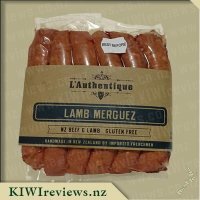 My friend absolutely loved them and said they are by far one of the best gluten free products she has come across, it reminded her just of the hotdogs she used to eat before having to go gluten free and has told me since trying these that she already has a box in her freezer. 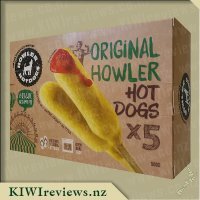 Howler Hot Dogs you have done it again with your amazing hot dogs and gluten free products, it&apos;s great to see a New Zealand owned company doing there best to create great tasting products for those unfortunate enough to have allergies to enjoy without missing out on quality or taste, well done. My family love Howler Hot Dogs. We are also grateful that none of us have a gluten intolerance although we know plenty of people do. I recently had one of my daughter&apos;s friends over for a sleepover and struggled to think of something that was special that she could eat. These gluten free hot dogs would have been perfect. It was a shame I found out about them afterwards. I will know for next time. 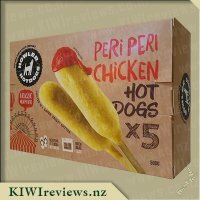 There are four hot dogs in the box (compared to five in the regular packs) but a still affordable and can be cooked up as needed so a good standby in the freezer. I cooked ours up in the oven along with a box of the original hot dogs. Only I knew which were which. My girls (7 and 9 years old) happily ate both varieties and didn&apos;t notice a difference. To be honest I thought both tasted the same too. 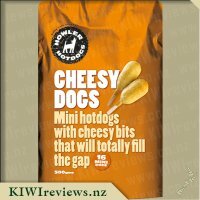 The gluten free ones were slightly yellower and slightly plumper but that was all.They are a quality product with no gristle that you often find in your carnival or chippies hot dog. It is also interesting to see that the meat is chicken and mutton, not beef as I would have expected. The hot dogs are so quick and easy to cook either in a deep fryer or the oven. 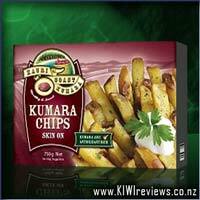 They are perfect for homemade takeaways if served with hot chips and tomato sauce. The price is about the same as it would be at the local chippie and you don&apos;t need to leave the house. 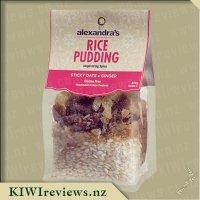 For coeliacs there is also the added protection of knowing your meal is 100% safe for you.This is a product I will be recommending to those I know on a gluten free diet. I am sure they will be thanking me for it. This was my favourite Howler Hotdogs variety even though it is gluten free and I don&apos;t have to choose it on health grounds - I can eat any kind of hotdog. However, the batter was so much nicer. 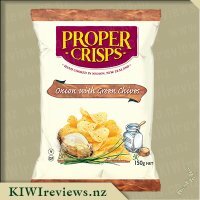 It was crisp and not too heavy, and it had a distinct flavour which I thought was preferable to the other varieties in the range. I did not think it needed sauce at all but the rest of the family disagreed, and Mr Seven insisted that it had to be dunked in his usual tomato sauce just like the rest! This variety looked quite different in the box, but as it was heated the sausage expanded and when ready to eat it actually looked bigger. (We were trialling three different varieties at the same time.) The children liked it and said that it tasted yummy. Unfortunately there were only four portions in the pack, so Miss Five and her mother had half a hotdog each so we could all get to taste them. Miss Five tried a little without sauce but then she too decorated the remainder with lurid red blobs! The adults all tried something different. I had mine without any sauce at all, and thoroughly enjoyed it. My daughter had hers with barbecue sauce, and my son-in-law had his with sweet chilli. But we all agreed that they were very nice and actually much better than a lot of gluten free foods which tend to be on the heavy side. The meat content of these hotdogs appears to be slightly higher than the rest of the range - possibly because there is less batter so the meat is proportionally more - and there are more additives like sodium and saturated fat, again possibly due to the higher meat content. However, for someone on a genuinely gluten free diet, it is good that there is an everyday food alternative available. I have several friends who are on strict GF diets so it would be worthwhile to keep a packet of these in the freezer (although they are so nice that I would probably end up eating them myself anyway!). They have a long freezer life which is certainly a bonus. The calorie content of these hotdogs is also higher than the rest of the range, again probably because the meat content is greater, but I also found that despite their light texture they were quite filling. With a salad to accompany them, one or two at the most would be a complete meal. 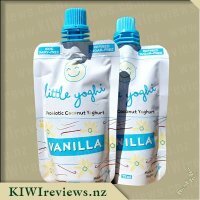 I plan to try them out on some other people in a few days&apos; time as one of them eats only gluten free products, so it would be interesting to see what she thinks of them. I have no major food allergies, so the whole "gluten-free" food style is not one I need to worry about. That said, I have sampled many GF versions of foods that would normally contain gluten, and in many cases found them to be in many ways superior to the gluten-bearing versions. These hotdogs were amongst that lofty list. Cooking these was in no way different to cooking the regular dogs... in fact, I cooked up an assortment for dinner tonight and just had one of these in with all the others. It was easy to tell which one was the GF one though, as the batter makes the hotdog look substantially larger - a sure way to make kids feel they are getting the better of the deal if they are "stuck" with having to eat GF. The batter was also a lot paler in comparison to others, but when approaching the &apos;fully cooked&apos; point, the batter took on a similar golden hue so this one didn&apos;t look "odd" in any way. The flavour was remarkable in that it was quite UNremarkable. There was none of that gloopy, stodgy, pasty taste that some people associate with GF batters. It tasted pretty much the same, if slightly "lighter", and was as appealing to the taste as it was to the eyes when cooked to perfection. The hotdog itself was as good in all regards as any other from Golden Goose, and while I am not 100% sure of the contents of the sausage actually differ - the meat content is extremely high when compared to a regular hotdog - there was no flavour loss or change that I could detect. That said, I&apos;m no gourmet when it comes to hotdogs - I like them or I hate them. A simple man with simple tastes in hotdogs. Overall, this is certainly no hotdog to shy away from. Whether you are required to eat a GF lifestyle or not, these will please. The only thing that makes these slightly lower value, overall, is that the box only contains FOUR dogs, instead of the usual FIVE in the rest of the range. This is most likely because of the extra cost involved in a GF batter. 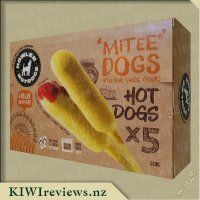 Still, assuming this box is around the $7-8 range (price is yet to be confirmed at the time of writing this review) these dogs are still the same, or even cheaper, than a "regular" hotdog from a caravan at any sporting event or show you attend... and a LOT more tasty, healthy and worthwhile! 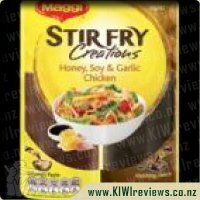 NEW MAGGI Stirfry Creations uses a unique two step process to create those great Asian flavours that are so hard to achieve at home. The secret is in the layering of flavours and ingredients - but it doesn&apos;t need to be difficult. In around 20 minutes you can have a delicious dinner ready for the family to enjoy. 1. TEAR IT - Pull apart the two sachets, using the perforation down the centre of the pack.